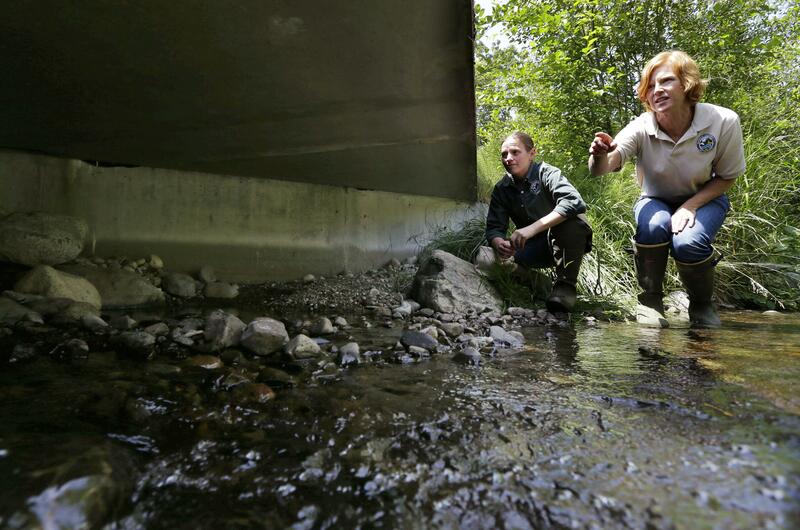 WASHINGTON – Washington state argued to the Supreme Court on Wednesday that replacing hundreds of stream culverts blocking salmon migration is onerous and too expensive. In 2001, some 21 northwest Washington tribes, joined by the United States government, asked a federal judge to rule that Washington state had a treaty-based duty to protect salmon habitat. In 2013, the court ordered the state rebuild clogged culverts that had the greatest impact on salmon flow by 2030. The Ninth U.S. Circuit Court of Appeals upheld the decision in 2016. Now the issue is before the Supreme Court. The Justice Department wants a declaration that the state had a treaty-based obligation to refrain from degrading the fishery resources. “When the United States promised the tribes federal protection for their pre-existing right to fish, that included more than just the hollow promise of access to fisheries that could be blocked off and emptied of their salmon,” Assistant Solicitor General Allon Kedem told the justices. But Washington State Solicitor General Noah Purcell argued that the lower court rulings ignore the fact that the salmon harvests affected by the culverts have declined less than 5 percent. The justices repeatedly questioned Purcell on what the state considered substantial degradation of salmon population. The state estimates that cost at $2.4 billion. The district court told Washington state to defer culverts that had less than 200 meters upstream of useful salmon habitat.